“We believe every cork is a key to opening experiences. Taking you to new cultures and lands”. This week, we’re uncorking our story of "ADVENTURE". Our brand video features Giulia Lazzarini, an Export Manager of Bodegas Castano in Spain. The Castano winery that Giulia endorses is found in Yecla, a temperate town known for its rich winemaking history in the eastern region of Murcia. Here, the Castano legacy is strong, and their family values are extremely important. All three brothers take care of the winery, and look up to their father as an influential figure from his success in changing the idea of growing grapes to bottling wines. What makes the region unique is their ‘Monastrell’, a grape that ripens slowly under the warm sun, making up for a more deliciously complex taste. 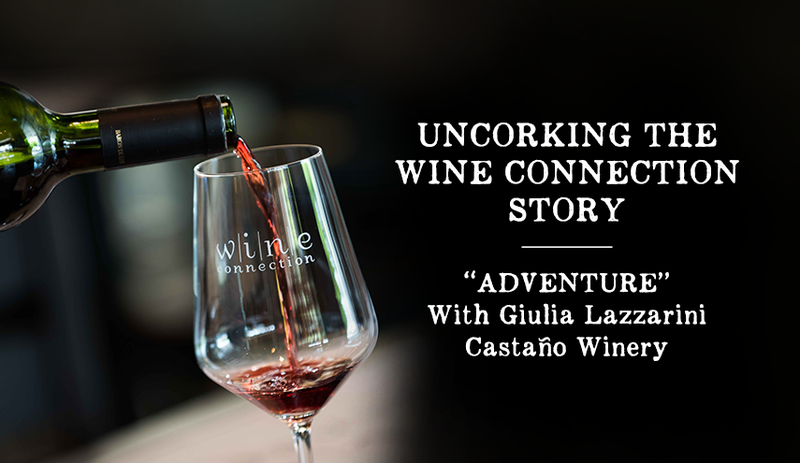 The importance of Castano Winery’s adventure is to share that legacy that leaves a cultural message through one. When tasting Castona wine, it conveys a message of what Monastrell is all about. Giulia explains that we as Wine Connection do just the same. we selectively hand-pick from different areas of the world. through our retail shops, combining them with food at our restaurants. Giulia tells us when traveling, you’re enriched by the taste of wine coming from that special place in that region that produces them. We can also completely agree with her that wine lovers have a richer experience of traveling from visiting wineries along their journey, where they can discover much more about the wine and dine culture. Now is your time to spark the beginning of an adventure! Whether it’s an adventure that leads you into discovering exotic new wine and food pairings, or an adventure ignited by the lust of your favourite wine and its roots. But what’s fundamentally important is discovery, if you don’t discover, you won’t live the moment of adventure. Along with discovery and adventure, Giulia critically explains that you need the confidence to risk and dare to learn more. This is driven by your passion that will continually grow and enable the interest to know more and learn more about other wines. Shop to discover wines at our online store to kick start your adventure or search for a store near you.